If decay is left untreated, the infection can spread to the nerve inside your tooth causing a painful hole in your tooth known as an abscess. When this happens, your dentist will have to perform a root canal to correct the problem and relieve your discomfort. A successful root canal will often allow you to keep the infected tooth rather than removing the tooth completely. How does an abscess happen? Underneath the layers of hard enamel on your tooth is the root canal system. It is full of a soft substance known as pulp, which is made of nerves and blood vessels. If the pulp gets infected it can form an abscess which can cause swelling inside your tooth. A root canal is a procedure where the dentist removes the infected or dead pulp from inside your tooth, relieving your pain. Depending on the severity of the infection, we can relieve your pain in 1 – 2 visits. Call today to book an appointment. 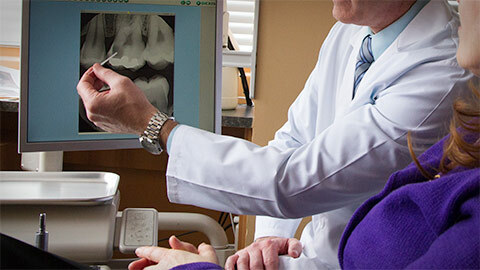 If you need more information about Endodontics in Prince George, contact us today.